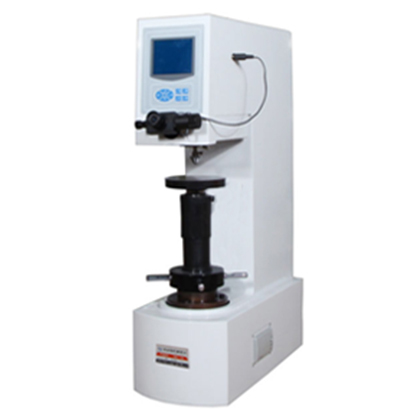 HRD-150B electric plus Rockwell hardness testing machine, based on the ordinary electric Rockwell hardness tester, optimizes the structure and heightens the processing. Because of its high fuselage, it can detect the hardness of large workpieces. 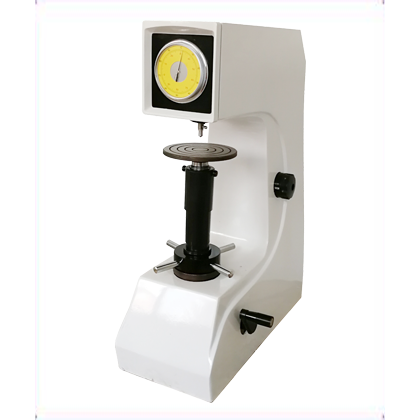 ● HRD-150B electric plus Rockwell hardness testing machine, based on the ordinary electric Rockwell hardness tester, optimizes the structure and heightens the processing. Because of its high fuselage, it can detect the hardness of large workpieces, and is widely applied to mechanical processing, automobile manufacturing and repair units. 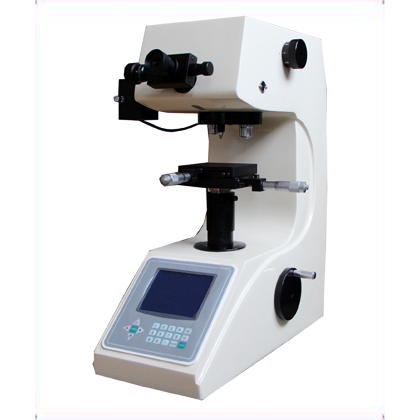 ●The core components are all CNC machine parts, and the accuracy and stability of the machine are greatly improved. ●The dial is directly read the hardness value, and can be matched with other scales of Rockwell. 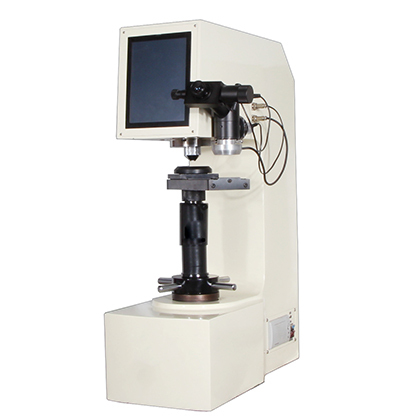 ●The friction free spindle is adopted and the test precision is high. 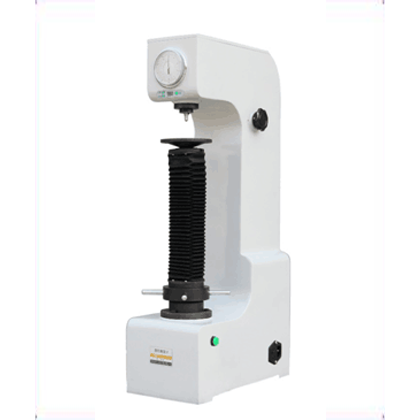 ●By controlling the loading, loading and unloading of test force by motor, the manual operation error of manual Rockwell hardness tester is eliminated. ●The design of the heightened fuselage can detect larger objects and have a wider range of applications. 2. It is mainly used for the measurement of Rockwell hardness of heat treatment materials such as quenching and quenching and tempering. Such as cemented carbide, carburized steel, hardened steel, surface hardened steel, hard cast steel, aluminum alloy, copper alloy, malleable casting, mild steel, Quenched and tempered steel, annealed steel, bearing and other materials.